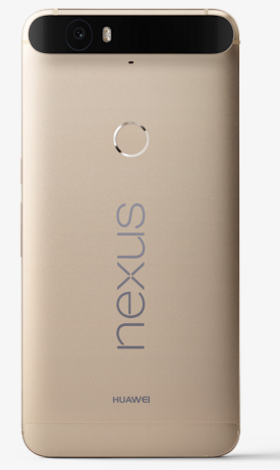 Have you been waiting to buy your Nexus 6P but held back because it wasn’t available in gold in the U.S. yet? Your long and agonizing wait is now over. As Google and Huawei announced at CES today, a matte gold-colored version of the 6P is now available in the Google Store and should be available at Best Buy and on BestBuy.com later today as well. Other color options still include ‘Aluminum,’ ‘Graphite,’ and ‘Frost.’ The gold version will only come in 32GB and 64GB models, though. For the other colors, 128GB is also an option. And that’s pretty much the news. The Nexus 6P is without a doubt the best Nexus phone Google has ever made (and maybe the best Android phone in general). It also put Huawei on the map in the U.S., where it was previously only known to those who obsessively follow smartphone news. Google is still having a hard time keeping the Nexus 6P in stock. Depending on the color and memory size you’re looking for, chances are at least a few of them will be sold out at any given time.